Thanksgiving is almost here, and most of us are looking forward to feasting with friends and family. It can be great catching up with relatives and pals you haven’t seen in a while — not to mention having an excuse to take seconds on dessert. But at your family gatherings, you might notice your oddball cousin looking seriously drugged out or that crazy uncle having WAY too many cocktails. Nobody likes being a Debbie Downer during the holidays, but if you notice that someone close to you has a drug or alcohol problem, the right thing to do is to try to get them help before they get into real trouble — both medically and legally. To help you out, here are some reputable resources for those struggling with substance abuse. And by the way, if someone really close to you, like a sibling or spouse, has an addiction issue, chances are you’ve been negatively impacted by their addiction too — so some of these resources can help you take better care of yourself while supporting a family member with an addiction. Substance Abuse and Mental Health Services Administration (SAMHSA) Hotline: 1-800-662-HELP (4357). This free, confidential, 24/7, 365-day-a-year service offers treatment referrals and information (in English and Spanish) for individuals and families living with mental health challenges and/or substance use disorders. 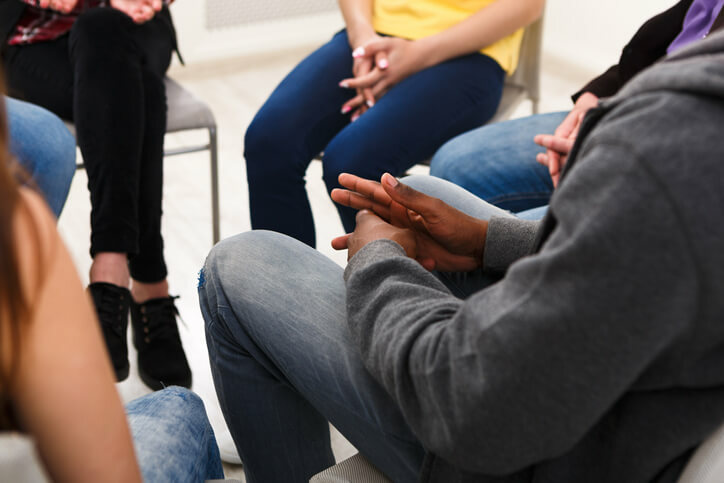 Alcoholics Anonymous of Gainesville: This local chapter of the long-established organization offers guidance for those struggling with alcoholism through supportive, non-judgmental meetings focused on self-understanding and spiritual self-improvement. Narcotics Anonymous: As its name implies, this is the sister organization to Alcoholics Anonymous and offers group peer counseling for those with narcotics addictions. Its website also offers helpful literature written by and for recovering addicts. National Institute on Alcohol Abuse and Alcoholism Treatment Navigator: This site offers not only a comprehensive nationwide list of reputable facilities and medical professionals specializing in the treatment of alcoholism, but guidance on how to choose the resources right for your specific needs. Florida Recovery Center: Affiliated with UF Health and Shands, this specialized treatment center for substance abuse issues offers both inpatient and outpatient programs, along with special programs for the families of those undergoing treatment. Meridian Behavioral Healthcare: Meridian is another major local treatment center. It offers several specialized rehabilitation programs for individuals struggling with drug and/or alcohol addiction, including programs for new mothers and for teens. Helping loved ones with addiction doesn’t mean blaming or judging them — addiction is a medical issue, not a character issue, and even terrific, strong people can fall prey to drugs or alcohol. So helping them out — even if it means some uncomfortable conversations — is just the right thing to do. Hopefully, your loved one’s addiction will never lead to trouble with the law. But if they run into any issues, criminal defense attorney Adam Stout is ready to give them a solid defense so they can get back on the road to recovery.